So I finally decided on a colour scheme for my new hair adventure,hehe. Thinking of doing kinda autumny/fall colours.. browns..with poss oranges,yellows and greens. 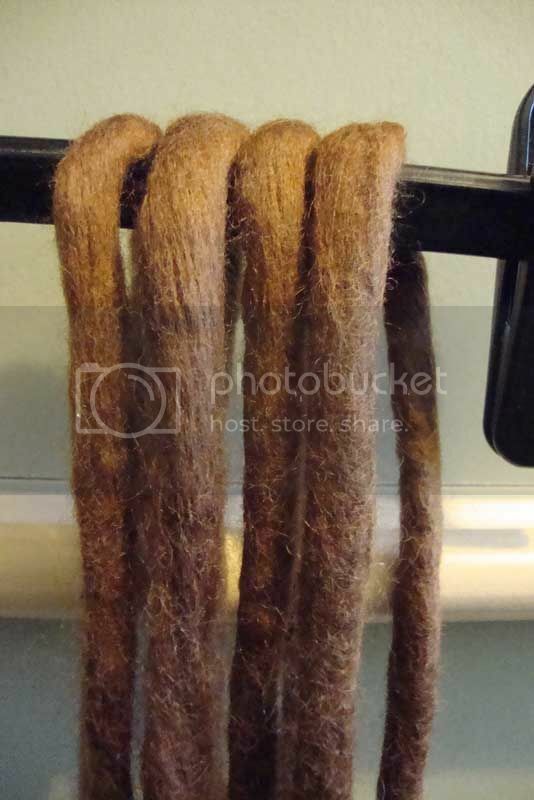 I had already made up 2 brown dreads but they were too big so I split them and re felted them to make 4 skinny dreads. Just need to dye my hair brown now lol. I was going to have to do it anyways in October as my sis is getting married. The only problem I may have with installing is that the top layer of my hair is a bit short as some of it broke of after i bleached it :/ Hopefully it's long enough. I've found that bar soap works better for me than washing up liquid and the water needs to be hot hot hot..but everyones always said that. They look good to me! 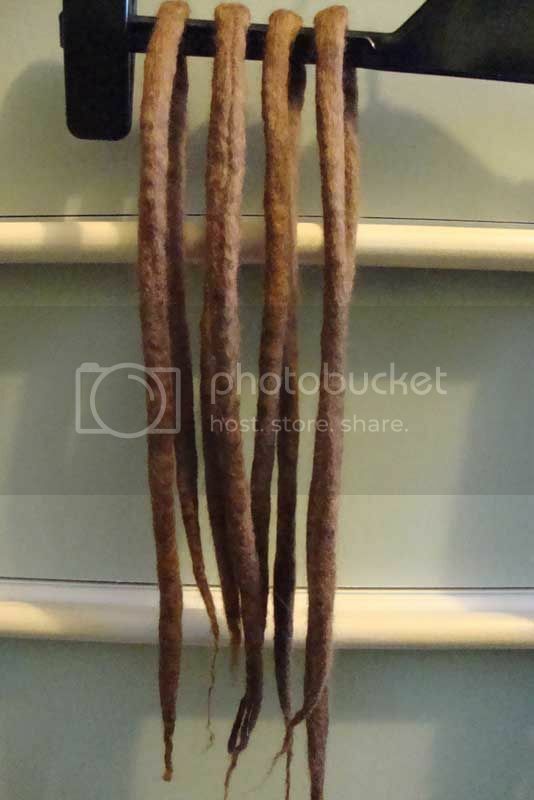 Other than that seam but you mentioned it I really like the color of the dreads you have so far, the color sceme you described sounds nice too. I'm not a huge fan of roving, but these look nice. I like the color, and they seem to look just as properly made as other roving I've seen in the show off section keep up the good work! They are coming along nicely, but I would suggest at least another 3 palm rolls as they are to ensure they are not soft - looking closely I can see all the loose fibres which would molt everywhere when installed. 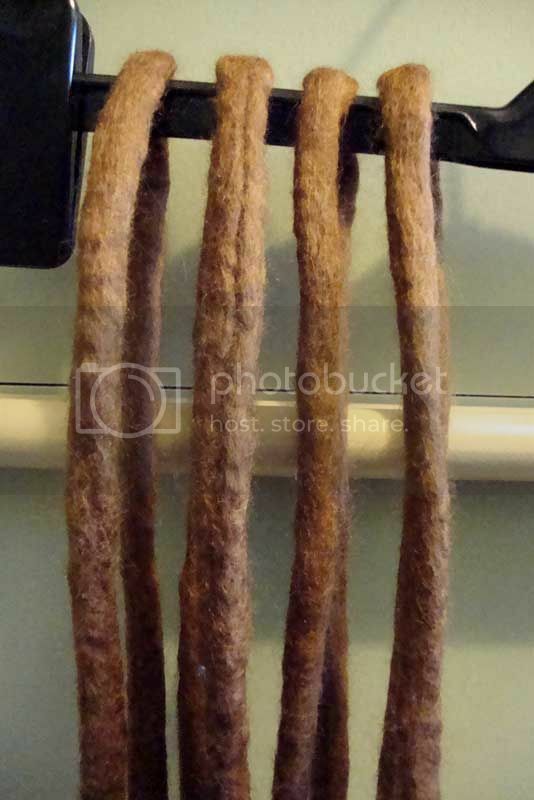 To get rid of the cracks running down the dreads try to roll the dread at an angle to disguise the line!! 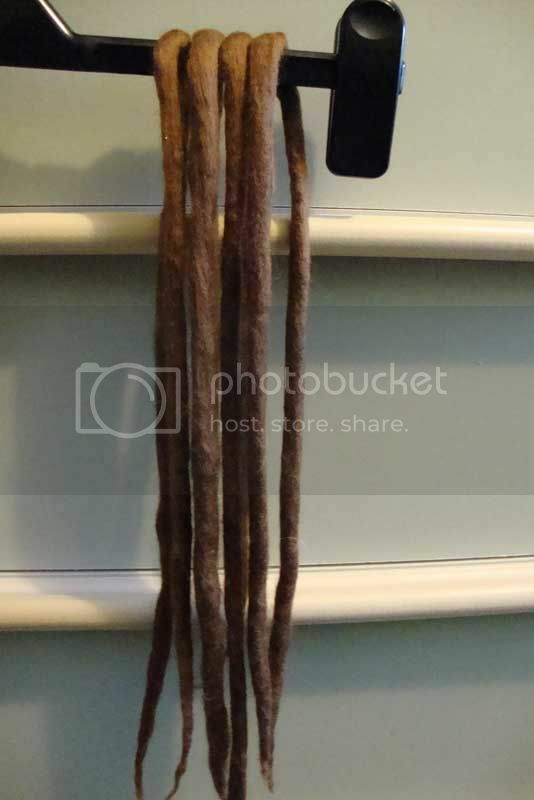 This was posted a while ago and since then i'd sorted the dreads a bit, made a complete set and had them installed for a few weeks.